Why I don’t ‘do’ sports cars – HubNut – celebrating the average! I’ve always loved older vehicles. Perhaps I spent too many hours sitting in my Aunt’s derelict Morris Minor pretending to drive, but old cars very much float my boat. Other people have their boats floated by older cars too. The glamour of a classic sports car is as alluring as a hollywood starlet, and far more realistic. So, why have I owned so few? As recently as 2007, I’d simply never owned a sports car. I did buy a Subaru Impreza once, but I was only 21 and so I crashed it into a tree after just two days. I decided the best ‘cure’ for this was to pay for a Supercar Driving session on a racetrack. I took my medicine in the form of a Porsche 911 (996), Noble M12 GTO, Lotus Exige, Maserati 3200GT and a 408bhp Dodge Viper. Medicine is rarely this much fun, and I also learnt where I’d gone wrong with the Subaru – I had none of the necessary skills to drive the thing safely. Now fully kitted out for a life of handling powerful machinery, I went out and bought a Peugeot 306 Diesel. To be fair, I didn’t even come close to crashing it into a tree. When I reached the magic age of 25, I could have decided to make the most of cheaper car insurance by getting a sports car. 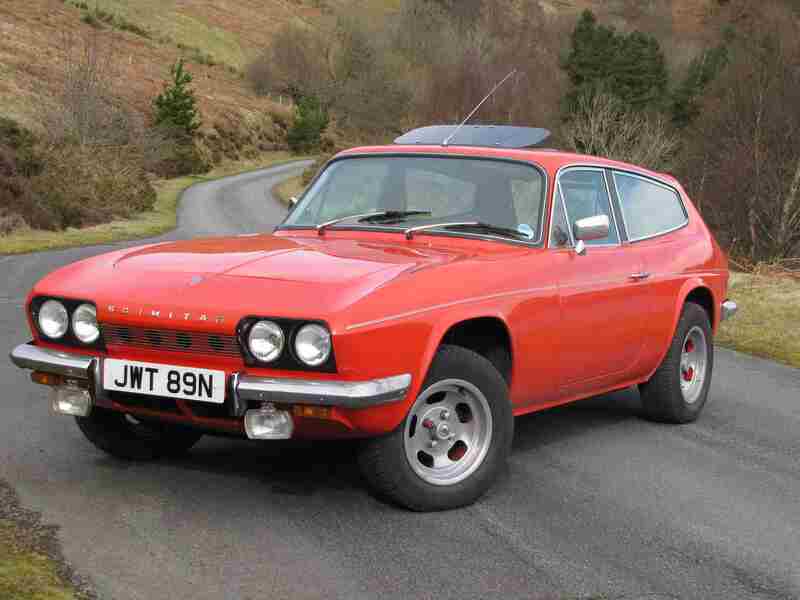 Instead, I bought a 1970 Rover P6 V8 – a big, wafty saloon that on a good day could probably still get close to its published top speed of 112mph (I never tested this). After that, an enormous procession of the slow and the bland filled my driveway. An Austin Maestro, a Honda Civic, a Bedford CF Autosleeper camper, a Volvo 740 estate, an Audi 100 etc etc. In 2009, things changed. My first sports car pushed the limits of the term entirely. It was a Bond Equipe. If you imagine a squashed Aston Martin body, crammed onto a Triumph Herald chassis, you can imagine what a delightful machine it was. No, I’ll save you the bother. Here it is. Probably the worst car I’ve ever owned, and that’s saying something! I bought it during a spell as Acting Editor on Classic Car Weekly. At the time, the still anger-inducing Scrappage Scheme was in full swing and this rare classic was one of the cars traded in for a new Kia. We naturally ran an ‘outrage’ story and begged someone to save it. At £2000 – the cost of the trade-in – no-one was much interested. I carried on beavering away at the dealer involved and Kia, and to give them credit, they agreed to let it go for £1000. Still, no-one was interested. So, I did the honourable thing. I bought it. It gave us a headline news story for that week and left me penniless and broken. It was an absolute horror. It had been awfully neglected for many years, and someone had crammed a poorly Vitesse 1600cc engine into it. I threw money, sweat and tears at it and it rewarded me by being as joyous to travel in as a suitcase falling down a flight of stairs. In desperation, I swapped it for a £350 Saab one winter. The Bond is still undergoing a restoration. As a first dabble at ‘sports’ car ownership, it was a resounding failure. I’ve only had one more go. It also had a plastic body. Here, I made the much more sensible move of buying a really good one, for only £700 than I paid for the Bond. The lusty, 3-litre V6 engine provided an engaging soundtrack and great performance. The handling was pretty good too and the condition was simply first rate. So why did I sell it? The simple answer is that I don’t like sports cars. Yes, you get that initial excitement – acceleration, exhilaration, g-force-neck-hurts-ation – but these are cars compromised by their ability to deliver those things. Comfort is barely given any thought at all, practicality is not exactly a priority – even with the GTE’s estate-like styling. I hate having to clamber down into the things as well. So, I stick to the ‘boring’ world of the family car. I’ve discovered over the years that most cars are good fun to drive briskly, if the mood takes you. Some are better than others for sure, but somehow a saloon or hatchback driven quickly on public roads feels more of a challenge than driving a sports car with oodles of power and handling to impress a Schumacher. Simply put, I regard sports cars as total overkill for public roads, which means you need to start going to track days to get any enjoyment out of them, which means you them own a car that’s only fun when you don’t drive it on the road – which is where most of us do our driving. * The author cannot be held responsible if you replace your Bugatti Veyron with a 1990 Seat Ibiza and find it a bit too much of a come-down. Yes, the author is now dreaming of owning a 1990 Seat Ibiza. I agree that an eighties Golf is a much more pleasant way of getting around than a 60’s Bond if you analyse it point by point, but is that not missing the point? There is that moment when I take out my Triumph Vitesse/MGB GT/ Citroen DS/etc that says this is going to be a special drive today, even if they are more difficult to drive than my Citroen ZX TD. Not sure a DS fits in that group. It’s not a sports car. 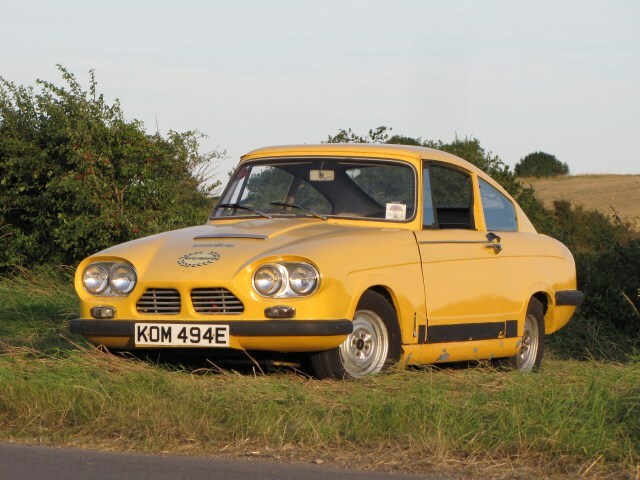 It’s a quirky saloon and is therefore very desirable. I can’t justify having a car just to enjoy on ‘special’ drives sadly. The Discovery has to deliver as an everyday vehicle, not just one to have off-road fun with. Sports cars are little more than fast-moving seats. I need practicality – but I’ve discovered that practicality isn’t a bar on fun. My Mk I MX 5 is a sports car but it is easy to drive and easy to live with, the DS is difficult to drive and awkward to maintain but I still like it because it makes journeys seem special. This is going to be the never-ending debate about which car to choose. I have my ZX TD for the winter to save the others from winter roads but get so bored with it I put it away in the summer on SORN and use more classics. I don’t know how you can enjoy your motoring when you have set yourself up for the day to day motoring equivalent of “white goods” in the shape of a mid range out of date Eurobox, there I have said it now. I know this is about personal taste within budget and I mean no offence but there must be better. I imagine there is better, but it’s finding the compromise. The Saab 9000 I had didn’t meet my demands as it had spectacularly poor turn-in. It really wasn’t a car I felt comfortable driving quickly. The Golf is at least responsive, though I’ll concede it’s not as jolly to hurtle around in as a BX when it comes to ride and handling. On the other hand, it’s a really good engine and the clutch/gearchange are massively better. MX-5s are very good, but still too low. I don’t actually like sitting that close to the ground and prefer a much higher driving position. I’m fine for my everyday car to be ‘white goods.’ It’s what they were built for. If I want a bit more fun, there’s still very little to touch a 2CV if you want to stay within the speed limits.